50 Uberglow Paracord 7 Strand | BUDK.com - Knives & Swords At The Lowest Prices! This isn't that cheap garbage paracord from overseas, this is 50 feet of pure American muscle paracord made in the USA by a U.S. government contractor. 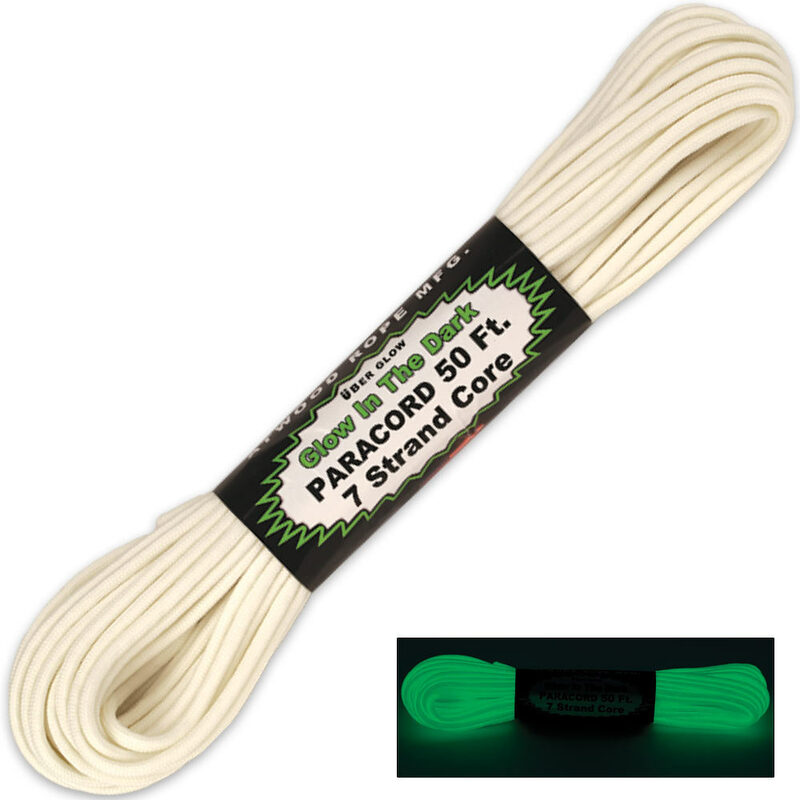 This Type III paracord is constructed of 100% nylon that glows in the dark with an impressive 7-strand core. You won't find a tougher, cooler cord anywhere!